All your design details should be updated in our design list. 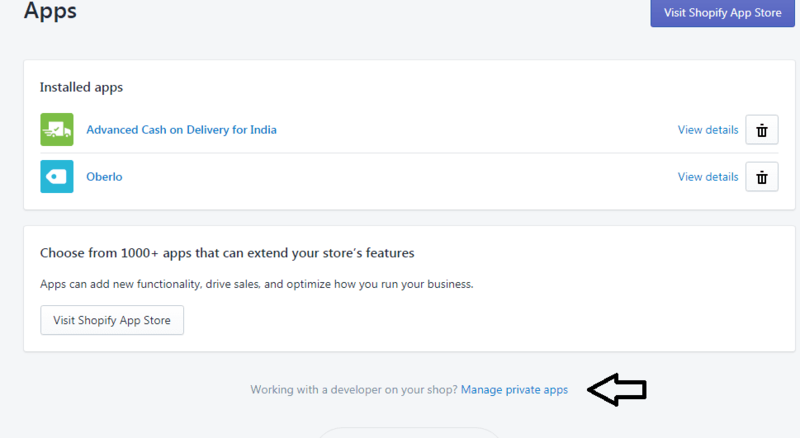 In Apps Page click on Click on Manage Private Apps, Usually found on Center Bottom. Click on Save and now you will be displayed with API Key, Password etc. Shopify API keys should be properly added in Qikink. The vendor value for all your Shopify products should be “QIKINK” on your website. To View the Synchronized Products: Integration-> Shopify-> Shopify Products. 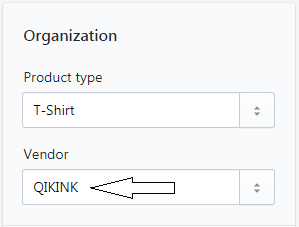 To add your Products Variants with Qikink Click on Map Variants Button. Fill the Details such as Product Size, Color, Design code(saved designs will be listed) for all the product variations and click Save. To Synchronize Product variants Click on Sync Now Button. 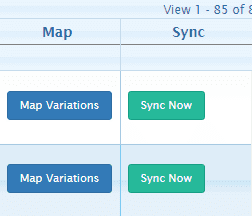 If you are updating the products in your website like adding extra size etc, click on product sync and map the additional variations. Note *If the Orders are Not Mapped,it get will goes to Unmapped Ordes to View Unmapped Orders: Orders -> Shopify Unmapped Orders.